Did you know there is a debate about whether we are supposed to be baptized “In the name of the Father, Son, and Holy Spirit” (Matthew 28:19-20) OR “in the name of Jesus”? Yes, we Christians argue over some silly things. In my book, Dying to Religion and Empire, I talk about how some Christians view baptism as a magical incantation in which the right words need to be said in order for the magic spell to actually work. The whole thing is ridiculous. But when Christians think that baptism is required to gain eternal life, then it also becomes important to make sure that the baptism is done in the right way with the right words. But let us try to solve the debate anyway … because … you know … Bible. When people want be baptized “in the right way,” they argue about when baptism should take place, how much water is necessary, where the baptism can occur, who can perform the baptism, what actions should be performed during the baptism, and what words need to be said along with the baptism. Now I am not going to try to solve the ENTIRE baptism debate, but we might be able to solve that last one, about which words need to be said at the baptism. The debate began because the words of Jesus in Matthew 28:19-20 seems to be at odds with the actual practice of the Apostles in the book of Acts. But when we get into the book of Acts, we see that the apostles baptize “in the name of Jesus” (Acts 2:38; 8:12; 8:16; 10:48; 19:5). So what gives? Some suggest that when Jesus says “in the name of the Father, Son, and Holy Spirit” He means “in my name.” Because … you know …. the Trinity. Of course, God the Father’s name appears to be Yahweh, and as far as we know, the Holy Spirit doesn’t have a name, so is it really accurate to say that “Jesus” is the name of the Father, the Son, and the Holy Spirit? Yet if we baptize “in the name of Jesus,” aren’t we then disobeying the very words of Jesus where He instructed us to baptize “in the name of the Father, Son, and Holy Spirit”? And the debate rages on, with both sides accusing the other of practicing illegitimate baptism. Well, it starts by disavowing all these Christians who waste their time and energy with idiotic arguments over words … but there is also a key to help us solve the argument. Baptism is not a translation of the Greek word, but a transliteration. When people translate from one language to another, they look at the word in the original language, and then provide the equivalent word in the new language. So hamartia gets translated as sin , theos as God, and so on. But for some inexplicable reason, there are a few Greek words which Bible translators failed to translate. Instead, they transliterated these words, which involves changing the Greek letters of teh root word into English letters and then calling it good. So Christos becomes Christ and euangelion becomes evangelism. This is what happened with the word baptism as well. It is a transliteration rather than a translation. The Greek word is baptizma, and it was transliterated as baptism. Well, if we translate the Greek word baptizma in Matthew 28:19-20, we get a clue as to what Jesus might have actually been teaching … and this leads to the one crazy suggestion about Matthew 28:19-20 that might help solve this particular baptism debate. So as everyone knows, Matthew 28:19-20 is the “Great Commission” in which Jesus gives some final instructions to His disciples. And he wants them to take the things He has taught and teach these to other people also. That is, Jesus wants His disciples to go and make more disciples. 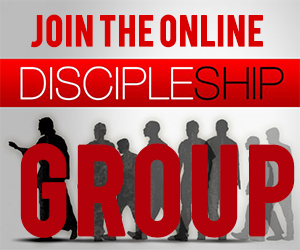 And discipleship involves teaching and training other people about what they should believe and how they should behave. It is teaching people about life and doctrine. And not just “classroom teaching” but teaching by example and showing people how to live. Anyway, none of this is challenging, new, or crazy. Everyone knows all this. 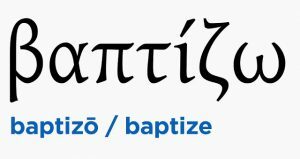 But here is the crazy suggestion … What if we actually translated the Greek word baptizo in Matthew 28:19 instead of just transliterating it? Is that crazy, or what? The Greek word baptizma means immersion (the verb baptizo means to immerse). Jesus instructs His disciples to make disciples and to teach everything He has taught to them, so that the people they teach are immersed in the name of the Father, the Son, and the Holy Spirit. If I told you to “immerse yourself in this blog,” would you think you had to go take a bath while reading this blog? No. You would think that I was inviting you to read a lot of blog posts for the next days or weeks. If I told my daughter to “immerse yourself in math” to prepare for the exam, would you imagine that I was telling her to go swim around in a local river with her math books under her arm? No. You would understand that I was telling her to study hard. If I told my wife, “I want to immerse you in my love,” does this mean that I want to plunge her under the water in a swimming pool while saying “I love you”? No. It means I want to show her in tangible ways how much I really do love her. Similarly, if Jesus says, “Go immerse people in the name of the Father, the Son, and the Holy Spirit,” is He saying, “Go dunk them under water while saying some words over them”? I think not. Jesus is telling His disciples that as they have immersed their lives in His for the past three years, they now must go and invite other people to immerse their lives in the Father, the Son, and the Holy Spirit. Sooo … You side with those who think we should baptize “in the name of Jesus”? No! If you think that is the point of this post, you’ve missed it entirely. There are no magic words. It is not about what words you say. As long as we Christians keep arguing about words, we are missing the entire point of the teachings of Jesus … and we should go immerse ourselves in His teachings some more. Look, if you want to get dunked under water, go ahead. For some, it can be a wonderful ritual, full of symbolic significance. But the real thing Jesus wants us to do is to learn about Him, learn about God, and learn about the Holy Spirit. Jesus wants us to follow His example of death and resurrection so that we lay down our lives for others. Jesus wants to show us how to die to ourselves so that we can rise again to real life in Him. So let us all stop arguing about the method, mode, and magic words of baptism, and instead start living for Jesus and loving others like Jesus … just as He commanded us in Matthew 28:19-20. Water baptism was for the Jews of the law. Spirit baptism is for the church of grace. God is spirit and those that worship Him must worship by the Spirit and Truth. God is no longer requires what we do for Him to be seen by men. When we pray, we are to go in private, so we can hear from God speak to us as we pray. Water baptism is of the law and is witnessed by men. But Spiritual baptism is between God and man. I think the baptism of the Holy Spirit was the outpouring of the spirit on Pentecost. I believe that is what John was talking about. Certainly water baptism was practiced in Acts. That can’t be denied. Were they mistaken or is it an example we should follow. 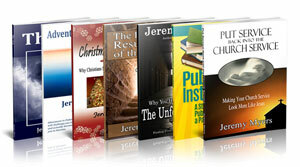 Jeremy as usual you blow the dust off biblical concepts and when you do those people who read your writings find truth and revelation. Such a simple message from Jesus hidden by history and poor teaching. It makes complete sense to me after reading your article. It lines up very well with the rest of the NT teaching. Great explanation. This is another area where Law took over. Law and grace cannot be mixed. True Law and grace can’t be mixed, but baptism is not found in the Law, however it is all through the New Testament. It is wise to take fresh looks at most of the dogma we have been showered with for generations. 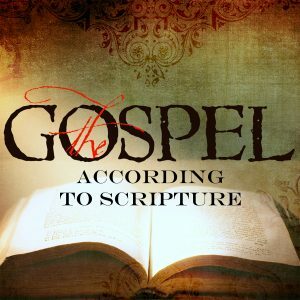 Too many scriptures have been taken out of context, words misinterpreted and even stuff made up, revealing doctrines which are contrary to the Gospel and what we can read of the words and ministry of Jesus. It is past time to challenge the old orthodoxies. 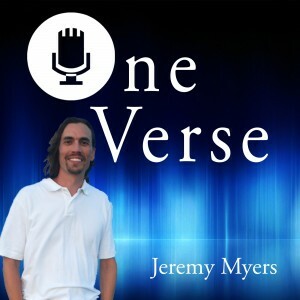 Jeremy, most serious Bible students know about the transliteration of the Greek word into English. I appreciate you bringing that more into the light. What do you believe about the book of Acts? 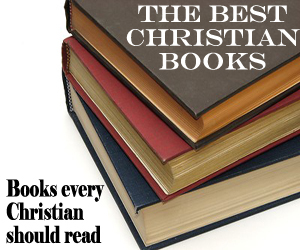 Cause we see water baptism a lot in that book. So was it the early Christians just figuring stuff out or is how they did things examples for us. We see the 3000 at Pentecost being immersed in water, the Ethiopian unic, the jailer, the household of corneliuous, Even Paul. Being saturated in God is good! But of course several NT instances of baptism explicitly mention water, the wet stuff, not a studious or meditative state. Mt 3: Jesus went up out of the H2O. Acts 8: Look, here is dihydrogen monoxide. What can stand in the way of my being immersed? If I want to reconcile this minor conflict, I focus on “in the name of”. This is applicable not just to baptism, but to prayer, where some Christians use this phrase as a magical incantation to validate their prayer before God. But stating “in the name of” is essentially giving notice that you are acting under direction of an authority or at least with full confidence of that authority’s approval. 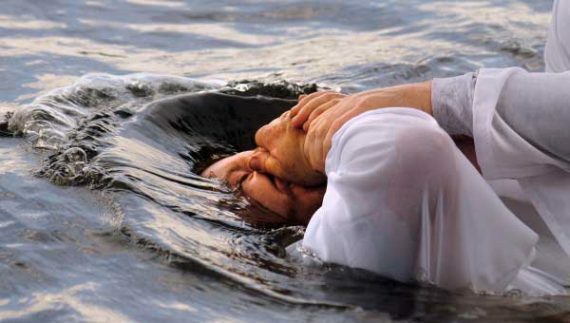 Saying “in the name of” at baptism is emphasizing the authority for the act. It’s a credentials thing. If this caught on, thousands of dollars in church construction could be saved. LOL! Good point. that is why it will never catch on. Ha! I’ve heard Baptist preachers quote William Booth to indirectly deny the efficacy of infant baptism. The argument continues around and around in circles until you realise baptism can’t give you anew the union with God that was already revealed through the cross. Your suggestion is a very simple one, and logical, which will hopefully help many get off the merry-go-round of which version of baptism is the most legitimate. Excellent and deep, right to the core. Nevertheless, when it comes to the water baptism, you know ,the outward sign of the internal stuff, I believe there is another answer to the question why Jesus’ disciples never immersed „in the name of the Father, Son and Holy Spirit“ (as in Mt 28:19), at least is not recorded in the Acts, but „in the name of the Lord Jesus“ (as in whole book of Acts, starting from 2:38). The answer is as follows: when Jesus said what He said in Mt 28:19 He was on His way to the Father. He was not yet ascended and, more important, His disciples were NOT YET immersed in the Holy Spirit („clothed from the power from above“). Mystery of Godliness is great…. Jesus’ mission was to save the world by revealing the Father (Son who is in the bosom of the Father ….). Son was THE witness for the Father! The Only witness (in flesh) of the Father (For in Him dwells all the fullness of the Godhead bodily)! BUT Jesus’ disciples’ mission was to be witnesses of Jesus and of His Lordship! Their mission was not same as His mission. So, BEFORE disciples were empowered by the Spirit – they simply couldn’t fulfill Jesus’ mission (to immerse in the name of the Father, Son and Holy Ghost). He said that (in the name of the F, S and HS) BECAUSE it was the LAST opportunity for Him to confirm HIS inheritance which they will inherit eventually – and that was THE COMPLETE AUTHORITY of God Father, Son and Holy Ghost. 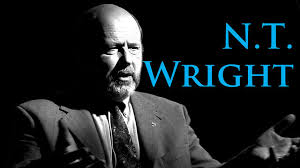 He was the one having it all and He left it noticed for them and for whole posterity for all ages. That’s why we have Mt 28:19 recorded once and for all. As a confirmation of Jesus authority, all authority in heaven and on earth of the 3! While I think it is quite helpful to translate “baptizo” to “immersion” in Matthew 28:19-20, I cannot agree with your assessment that water baptism isn’t important or that it is a personal choice. You are merely assuming that Jesus uses the word in a connotative way (figuratively) rather that denotative way (concretely). While that is a possibility, it isn’t a very strong one for at least three reasons. One, contextually speaking, there is little indication that Jesus was using the term figuratively. All indications are that He was using it denotatively as it is elsewhere in the New Testament. Two, you are preferring a connotation that wasn’t likely even existent in the language of first century society. Before you can suggest that a connotative definition of a translated word is the accurate one, you must be sure that such a connotation was even possible in the original context. Three, the original hearers interpreted Jesus’ use literally and practiced water baptism as a result. 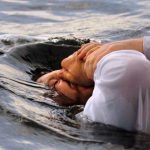 Indeed, as these factors coalesce, it appears most likely that Jesus indeed intended water baptism by immersion to be normative for His disciples of all generations. With such support of a literal translation, the commission itself is one of the bests reasons to affirm and encourage the practice. Beyond that, it provides an uncanny picture of the transformation through which the new believer goes- from death to life. 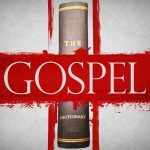 Therefore, its practice remains a vital testimony to the power of the gospel. One further note: It is precisely the act of water baptism that signifies a leaving of a person’s cultural religion to Christianity. The decision to be baptized is a grueling one in any culture that is hostile to Christianity and often results in disinheritance, ostracism, severe persecution, and even martyrdom. Downplaying water baptism as something that is optional (read: merely a personal decision rather than a command but not a requirement of salvation) is to make our persecuted siblings seem foolish for making such a decision unnecessarily.